Valentine's day is coming up and handmade gifts are a great way to show someone you love, that you care! 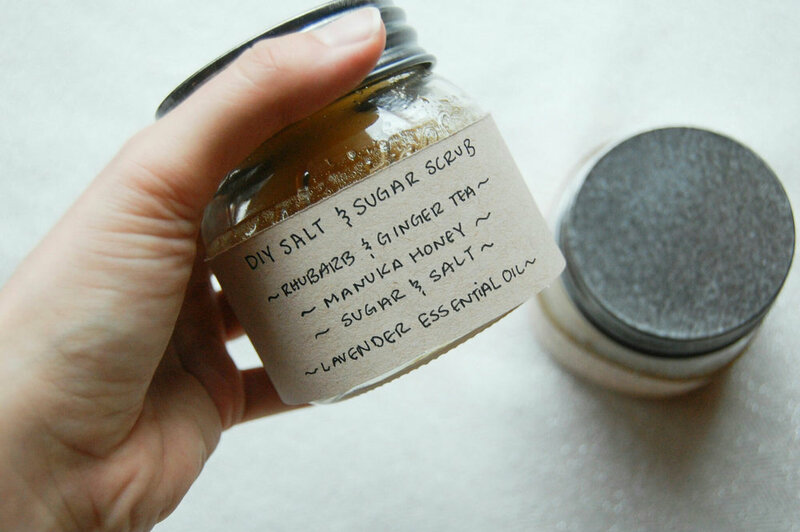 If you're stuck on what to make, check out these two types of tea infused scrubs that are easy to make, with simple ingredients ! I have two different versions of scrubs that vary in ingredients and with tea! 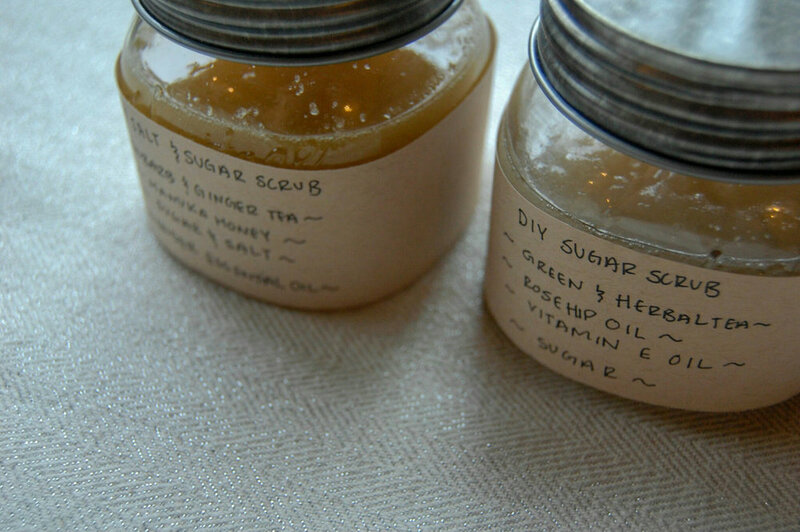 The first scrub combines salt and sugar and a rhubarb & ginger tea! Rhubarb and ginger are both great ingredients that can help skin. Rhubarb has antibacterial and anti fungal properties. Ginger is also said to help with evening skin tone and improving elasticity! I had this manuka honey and decided to use it instead of regular honey. You're welcome to use regular honey as well! 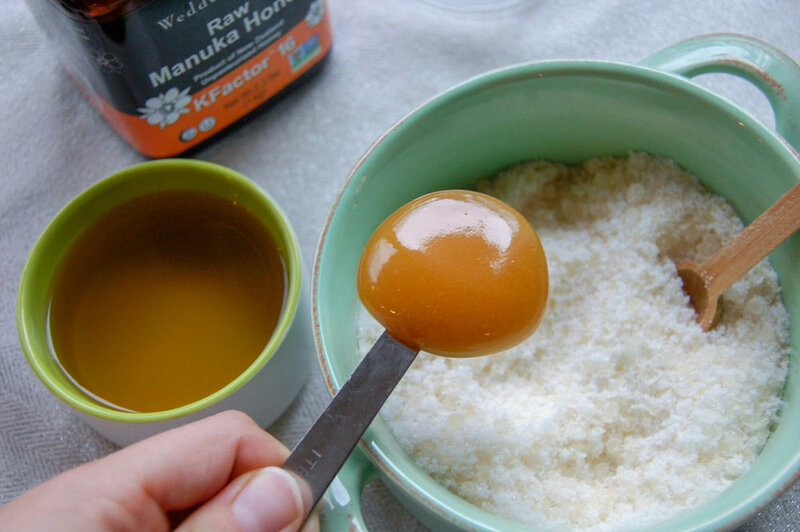 Manuka honey has all sorts of benefits like treating acne and eczema! One of the most important parts of this recipe is to let the tea cool completely before mixing it in. If the tea is too hot, the sugar and salt will dissolve and lose the rough texture that helps with exfoliation! Feel free to put more tea than I used in the scrub but just know that the scrub might be a bit more water like as opposed to a scrub. This seconds scrub uses only sugar and 2 types of tea! I received these teas from kailo tea. Kailo tea puts loose leaf and a capsule of vitamins in a tea sachet so you're taking in tea and vitamins at the same time! The two teas used were Wake up and Zen out tea. The Wake up blend is green tea with vitamin B, C and D. The Zen out blend is herbal tea with vitamins C, D and magnesium! I brewed these two teas together so that they become mixed when I include them in the scrub. The rosehip and vitamin E oils give this scrub a lovely scent and added skin benefits! Again, make sure to let the tea cool completely before mixing it into the sugar. Make sure that the scrub clumps a little bit, so that it will be effective!